Sprague Farm in Cape Elizabeth is a magical setting. Weddings are held on an open field overlooking the sea and coast of Maine. The views are amazing and in the summer you can watch the sun set over Scarborough beach in the distance. This images was from Tiffany and Dustin's wedding just after their dinner. The light was getting gorgeous and I invited them out from their tented reception to enjoy a moment alone and take in the amazing view offered from this unique and wonderful location. 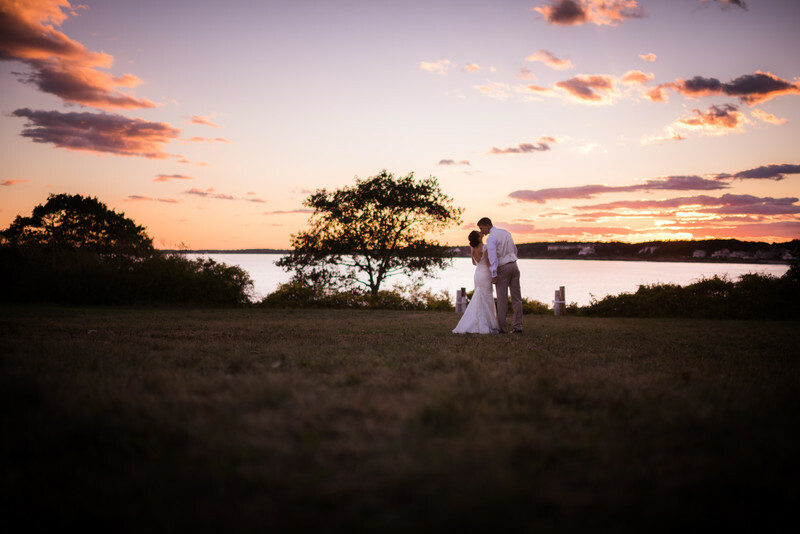 Maine could not be a more gorgeous place to have a coastal New England wedding and Sprague Farm in Cape Elizabeth is a rare gem for wedding venues. Location: 1 Ram Island Farm Rd, Cape Elizabeth, ME 04107.